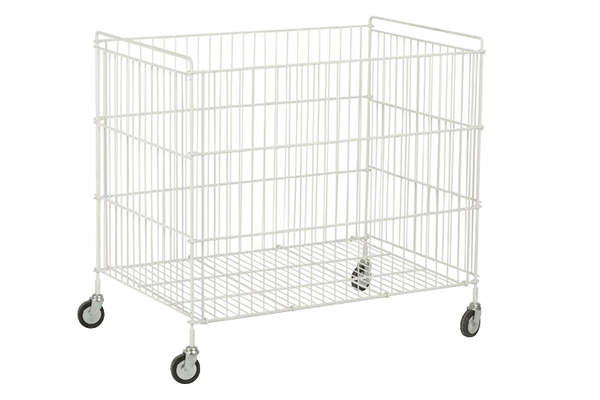 White cage trolley for transporting bulk linen. 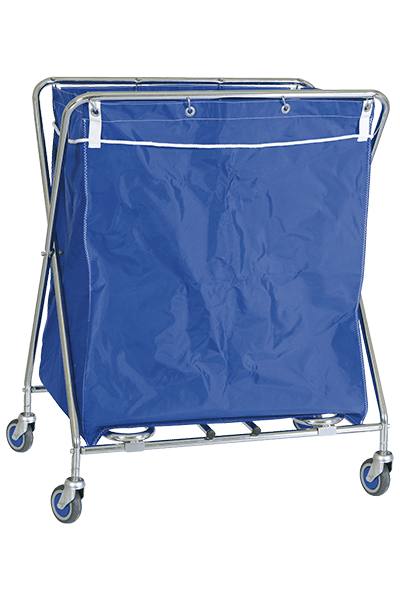 Nylon bag with rope for easy handling, and a highly resistant epoxi treated tubular frame. Foldable structure with four swivelling wheels.